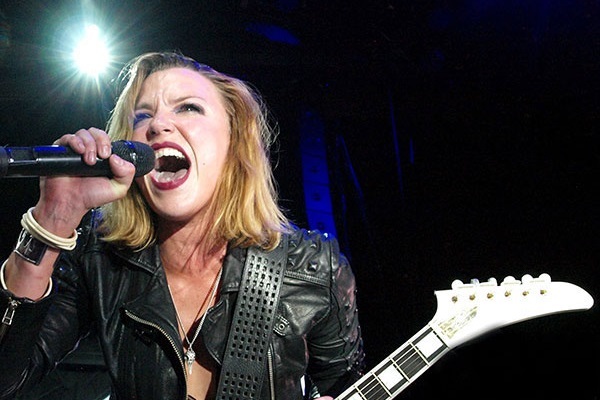 Lzzy Hale and the Halestorm crew are starting to look ahead to the next EP in their “ReAniMate” covers series. Halestorm as unleashed three “ReAniMate” EPs since 2011. The band’s latest set dropped in January of 2017 and featured the band covering Metallica, Soundgarden and Twenty One Pilots, to name a few. Hale says the covers EPs are more than just a fun side project for the band. Doing the EPs actually helps shape the sound and style of Halestorm’s albums. Halestorm is currently touring in support of their latest studio album, “Vicious,” which dropped earlier this year. Halestorm also spent much of this year on tour with fellow female-fronted rock bands In This Moment and New Years Day.